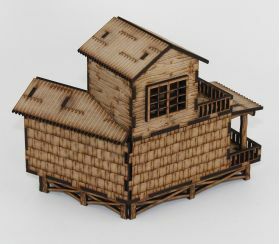 Well-built home constructed on risers covering approximately 7.5 by 5 inches of table space. 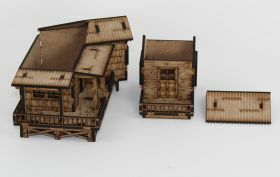 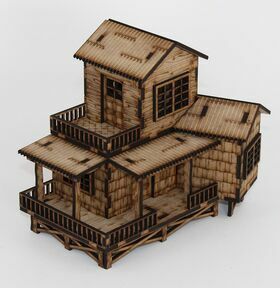 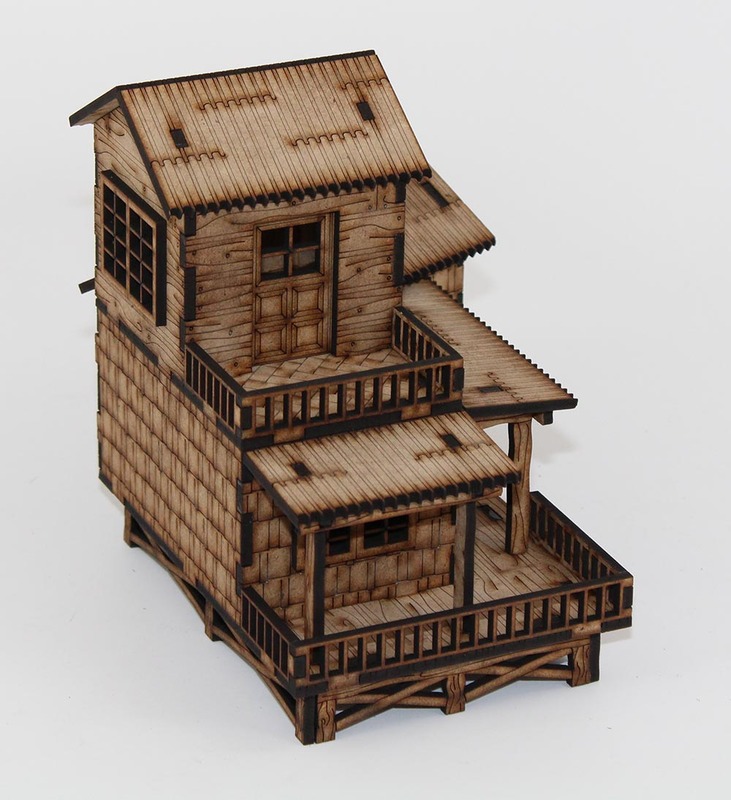 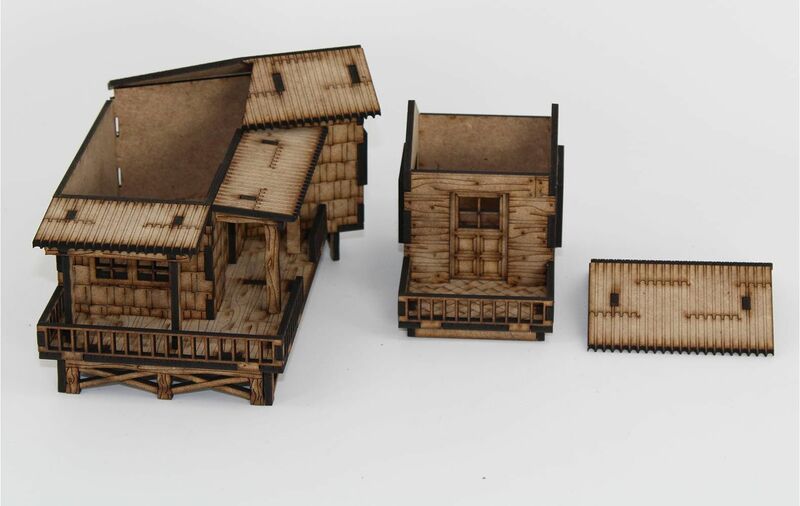 The small second story room (and its roof) and porch are removable allowing the entire piece to be used. 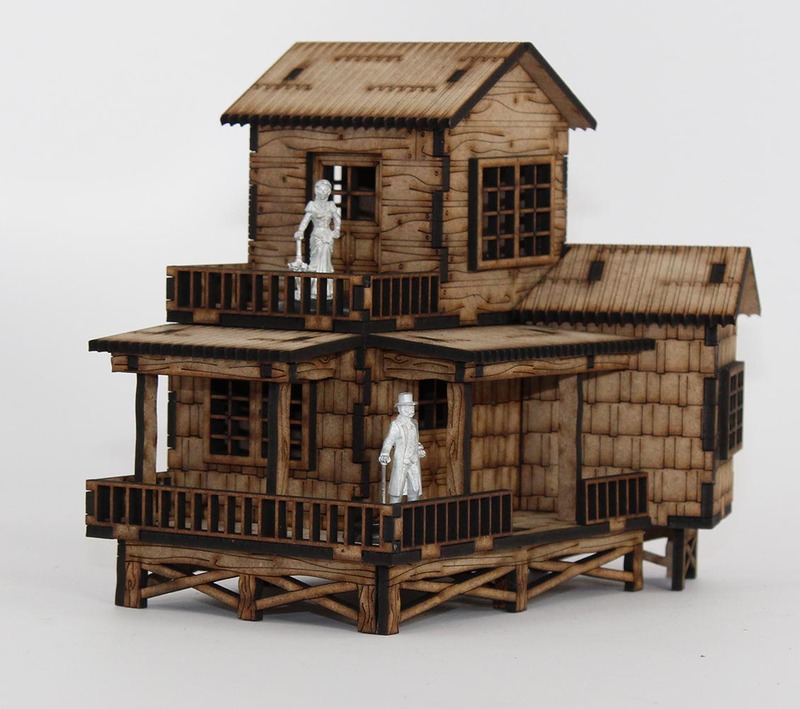 The risers are 3/4 inch above your play surface.